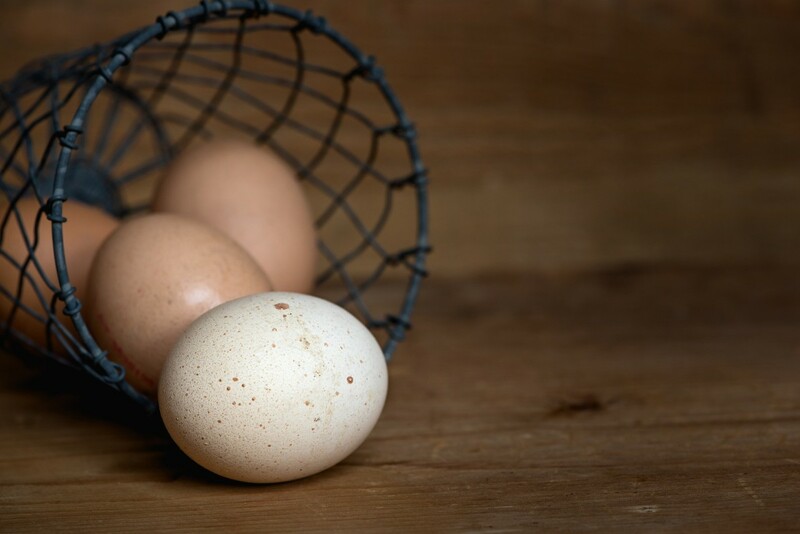 There seems to be a lot of debate about which is better, white eggs or brown, and depending where you are you are likely to get all sorts of answers. The French, for instance, believe the darker brown an egg is the better it tastes. They've even developed a breed, the Maran, that lays eggs that are a deep chocolate brown. So what is the difference between white and brown? It basically comes down to breed. Some chickens lay brown eggs, some lay white eggs, but it goes deeper than that. Breeds that lay white eggs tend be leaner breeds that handle extreme heat very well. Brown egg layers tend to be very large with thick feathering making them more suitable to extreme cold and more susceptible to heat stroke. 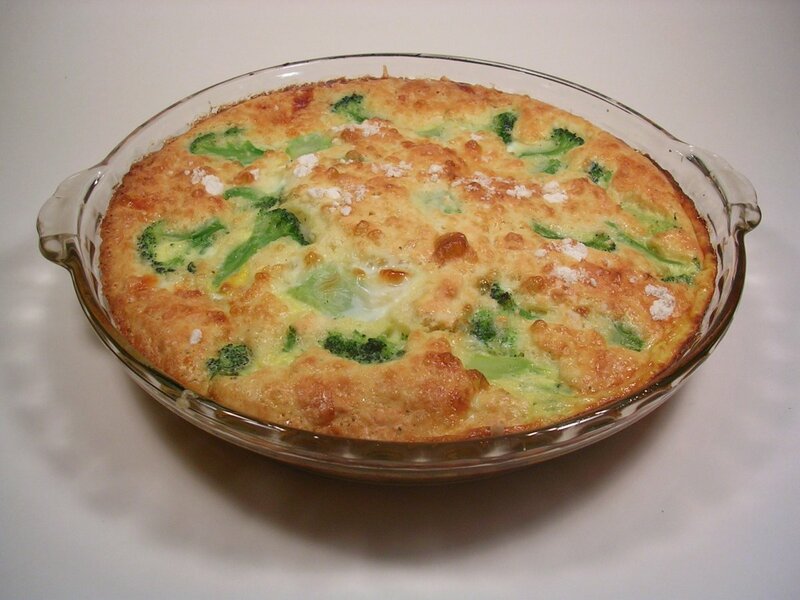 Because of this most eggs sold in the southern United States are white and most of the eggs sold in the northern United States are brown. Are there other colors of eggs? Yes, some breeds of chickens are known for laying blue eggs. This might be because a few centuries ago some chickens bred with pheasants who have colorful eggs. Hybrids like these are unusual but not impossible. As far as I know no one is currently trying to make new lines of these hybrids. 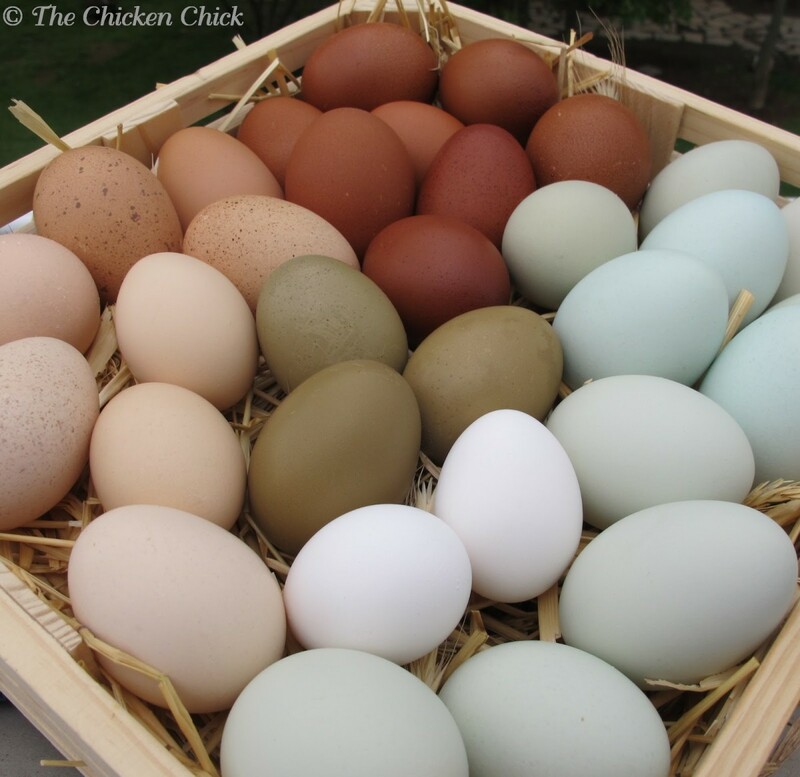 Ameraucana, Arucauna, and Cream Legbars are three breeds known for blue eggs. When these birds are bred to a brown egg laying chickens the resulting hens will lay green eggs. These, along with the blues, can vary in tint and depth of color. There is a bit of debate over the differences of these colored eggs. Some people feel they taste better, others think that they may have nutritional differences. I have yet to see any scientific studies. 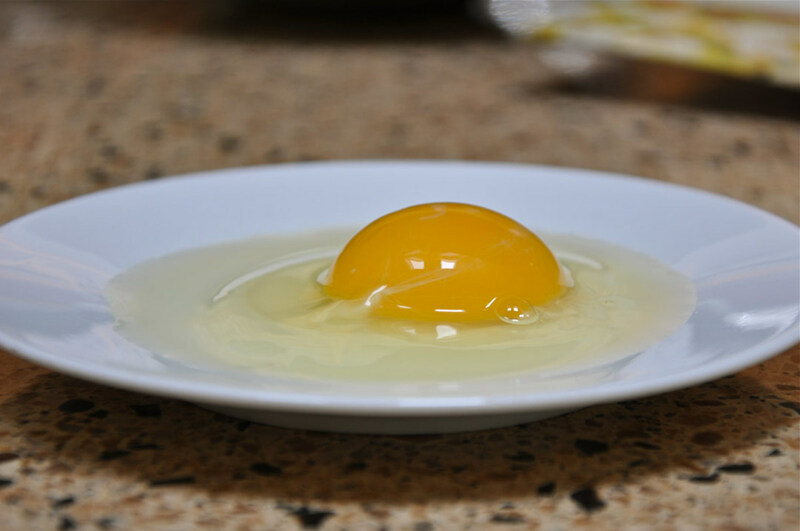 The color of an egg yolk should be very bright yellow or a deep orange. The difference in color is based on what the chicken is eating. 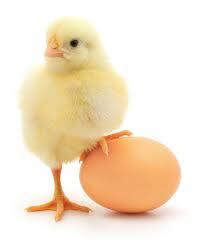 Chickens who only eat the grain feed given to them will lay eggs that are yellow. Chickens that are free range and eat mostly bugs and vegetation will produce these orange yolks. There may be nutritional differences but I couldn't definitively tell you what they are. Many people think that you need a rooster for a hen to lay eggs. This just isn't so. In fact, most of the eggs you buy at the grocery store (unless otherwise labelled) are in fact infertile. If there's no reason for a commercial egg farmer to have roosters they won't bother. Most of the hens producing eggs today will have never seen a rooster in their life. However, I know some people buy their eggs from farmer's markets or directly from the farm. How can you tell if those are fertile? It's really quite easy. Once you crack an egg open look for a white spot on the yolk. If you can't see it use a spoon to roll the yolk around until you can. If the white spot looks like a dot it is an infertile egg. If the white spot looks more like a doughnut or bulls eye it is fertile. You may ask why you'd want a fertile egg. The answer is pretty simple. People who raise chickens often prefer raising their own instead of buying new chicks every couple of years so they keep a rooster around. However every egg is not going to be wanted for hatching, instead the extras are sold to be eaten. In the meanwhile the rooster will keep the hens happy and might even defend them from predators. Some people claim fertile eggs taste better. This appears to be a matter of opinion. 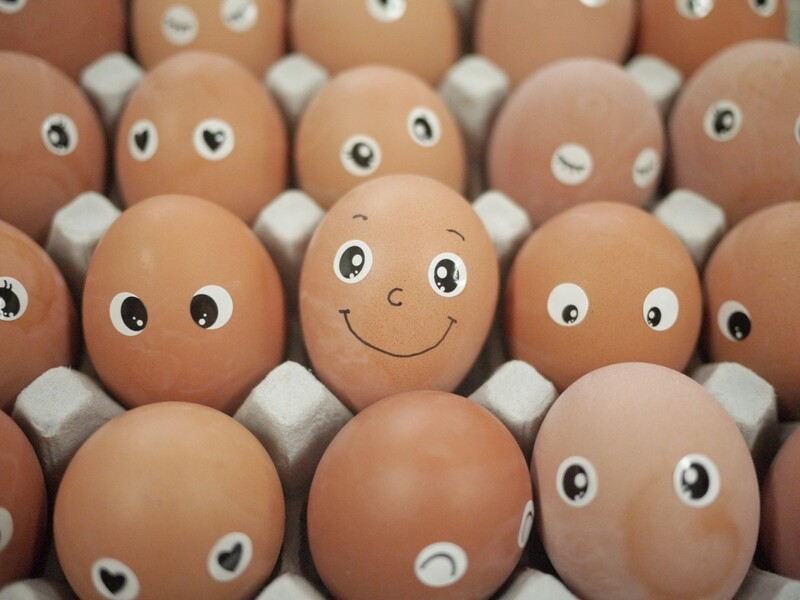 In the stores you can usually find small, medium, large, and jumbo or extra large eggs. You might wonder why this is. Some may speculate this has to do with breed but in the commercial industry this usually has more to do with a hen's age. 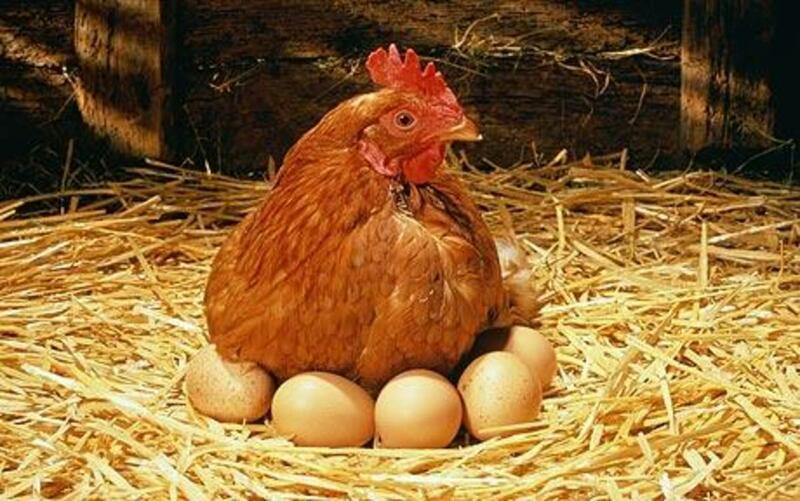 The older the hen the more likely she is to produce these larger eggs. In fact some breeds like the Rhode Island Red are so notorious for this that once they start producing eggs too big for sale they're slaughtered for meat. 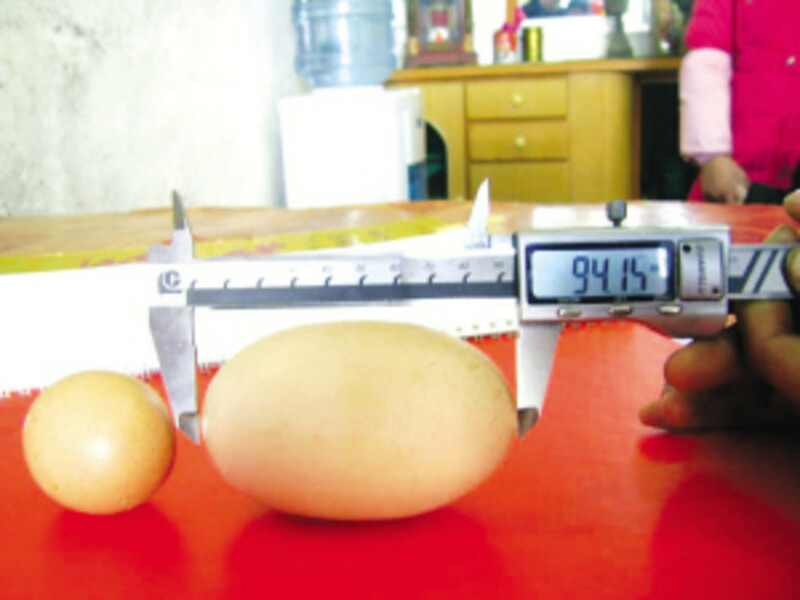 The largest chicken egg on record was over 7 ounces in weight! As far as backyard flocks go some of the smaller eggs are indeed from bantams. Bantams are small breed chickens. They can lay just as many eggs as their larger counterparts but they'll be considerably smaller. In fact I have some Seramas, the smallest chicken breed in the world, and their eggs tend to be around 0.9oz in weight, as compared to a normal large store bought egg which is 3oz. 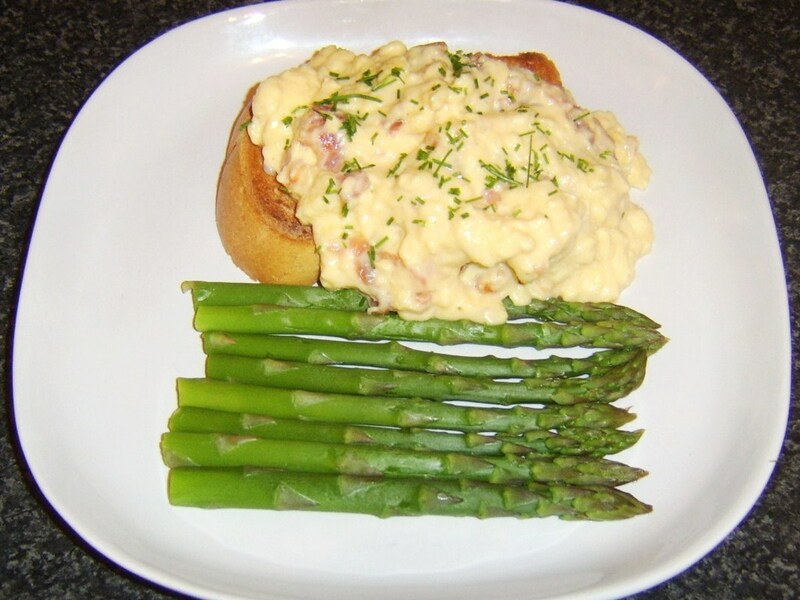 Bantam eggs usually have much more yolk than white in them and are just as edible. Many people prefer bantams simply due to their smaller space requirements. How can you tell if an egg is fresh? It’s a bit disturbing to know that some eggs are sitting on a shelf somewhere for up to six weeks before someone buys them. So how can you tell if an egg is fresh? Easy. If you put an egg in a bowl of water and it sinks to the bottom and lays on its side than it is as fresh as you can get it. If it sinks but stands on its end then it is still fresh enough to eat but it is getting older. If it floats to the top of the water its an old egg. Sadly most of the eggs I bought at the grocery store were this way until I invested in my own laying hens. I can profess the fresher the egg the tastier they are! There are also other ways to tell if an eggs is fresh. For instance if the shell seems unusually thick than it is fresh. If the yolk stands really tall after you’ve cracked the egg it is fresh. 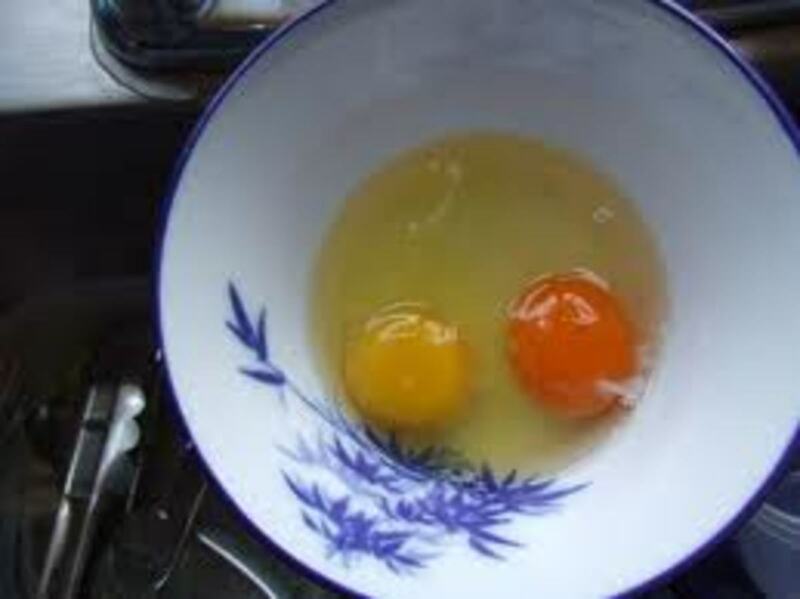 If the yolk has wrinkles or dissolves into a puddle when you crack it open than it is an old egg. Can you hatch fertile eggs? Yes and no. Although you will sometimes see fertile eggs at your local health food store they have been refrigerated and besides this they may also be old. Normally a hen will lay an egg every other day (or sometimes every day) until she feels she has enough eggs. At this point she'll go broody—meaning she'll start to lay on the eggs instead of abandoning them as she's done in the past. Only then will the eggs start to develop and after twenty one days all the chicks will hatch out, despite being laid on different days. The problem with this is that the older an egg is the less likely it is to hatch once its incubated. 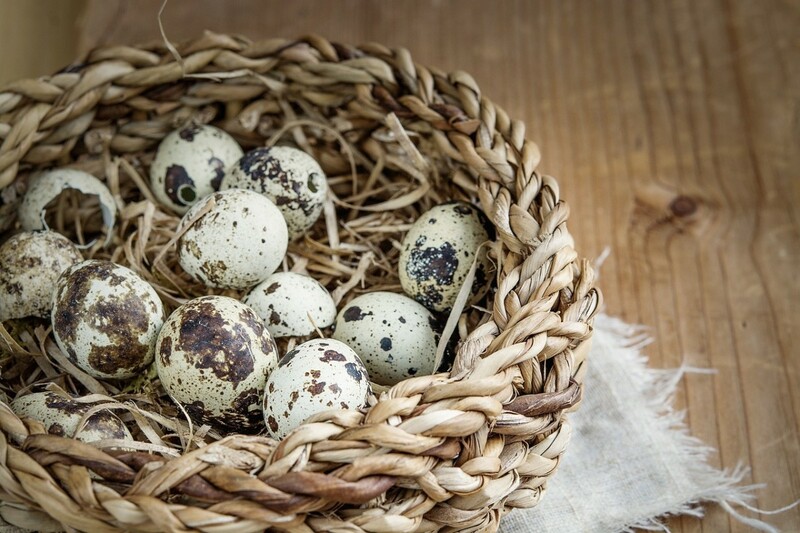 Most breeders don't use eggs past ten days of age, although they can technically hatch as old as three weeks of age, there just won't be as many. Before being incubated the eggs must not freeze or get too cold, this will kill it before it has a chance to start developing. If you really want to hatch some eggs you're much better off buying "hatching eggs" from your local farmer or breeder. These will be fresh and kept at room temperature until they are ready to be used. How many eggs does one hen produce? This is a loaded question. 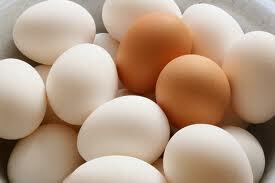 Most of the breeds used in the commercial egg industry start laying eggs when they are 4-5 months old. These breeds tend to lay an egg every other day, sometimes an egg every day, but this doesn't last long. In fact when the hen reaches two years of age her "peak productivity" will be lost and unless she's someone's pet on a small farm she'll likely be slaughtered for meat and replaced by a pullet (a hen under a year of age). If allowed to live she'll still produce eggs, just not as many, until she becomes truly elderly at which point she'll stop altogether, sometimes as young as three, sometimes as old as five or more. Most hens generally live to be around five years old although some have made it into their teens. Since no one is breeding specifically for longer lived chickens this seems to be the result of pure chance. With all that being said there are many breeds of chickens bred for all sorts of purposes. Some are ornamental and win shows for their beauty, others are raised purely for meat, while others may even be bred for cockfighting (which is illegal in most of the US—not to mention cruel). These breeds of chickens may only lay seasonally or they may just produce eggs sporadically. Instead of having up to seven eggs a week you'll likely end up with 0-1. Are Free-Range Chicken Eggs Better Than Store-Bought Chicken Eggs? Very helpful and interesting. thank you! Thank you rajan jolly. I get a lot of comments about petty little grammar or spelling issues but none like yours that say the information is correct. I really appreciate that! I didn't write about multiple yolked eggs (maybe I'll add that later) but yes, I knew some of the younger hens sometimes laid monster eggs. I was shocked to find one egg in my coop that was three times the normal size. I looked around to see if all the hens were alive! :) They were of course, I never figured out who laid it. And back when I was getting eggs off a local egg farm I ended up with 2 and 3 yolked eggs all the time. Thank you for the additional information about the 26 hour cycle. That is something I didn't know! As an former poultry breeder I find that you have done a great job here in providing correct info. Another way to find if the eggs are old is to look at the shell. The older eggs will have prominent pores in the shells. Also jumbo eggs are also laid when the pullet just comes into lay since the laying cycle has not yet been established firmly sometimes 2 ova drop together and get covered by a single shell resulting in a double yolked egg. 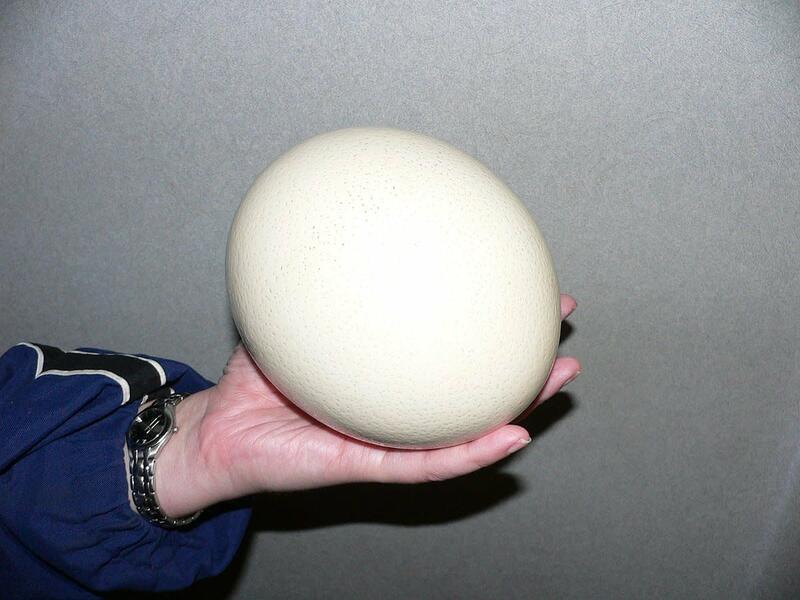 It takes about 26 hours for 1 egg to be formed completely. Good job here. Voted up. Thank you sallybea. Chickens are sure wonderful creatures. We're looking forward to adding some blue and chocolate egg layers to our little backyard flock this year, mostly for the variety. We just adore our current hens and are hatching our own Seramas (the smallest chicken in the world - the size of a soda can!) They have been a lot of fun and I can see why they'd be a magical experience for a child. Thank you for sharing your fond memories! This really is a great informative Hub. Growing up as a child my parents kept chickens, ducks, bantams and also turkeys. It was wonderful to be able to collect fresh eggs. I recall the sound of a hen when she had laid an egg. I would run down to the coop and pick up a her lovely warm egg. I also remember my Mum hatching chicks in the Aga oven. These facts make for some really interesting reading. I enjoyed this Hub very much, voted up and shared. This was loaded with information. I never realized all these facts about eggs and found your hub very interesting. Good to know this stuff, thanks for writing about it -- and well-done too (no pun intended). All good to know . . . thanks for sharing! Thanks for the full range information on the eggs. Lots of things that I don't know about the eggs difference. Voted up.